Big Woods Goods - Practical Action Shooting Match - "running and gunning"
Seen Keanu Reeves prepping for his role in John Wick? 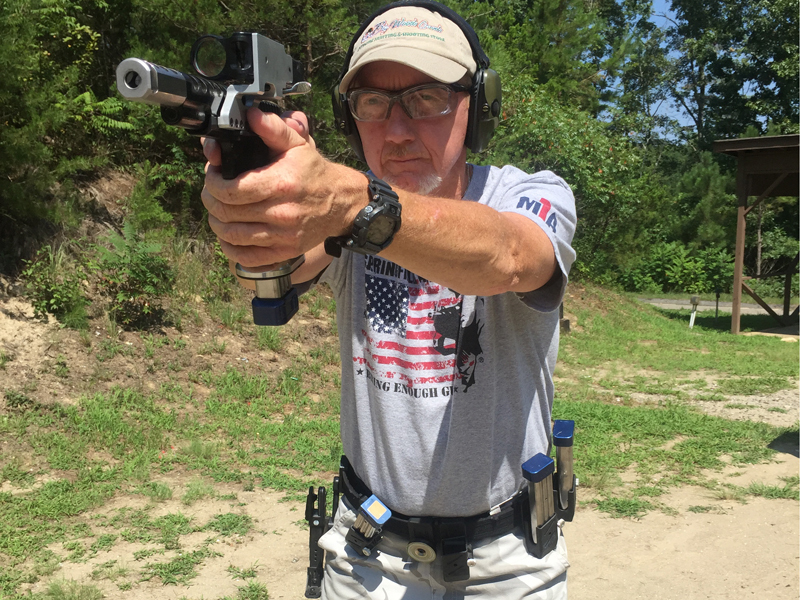 Here he trains with world class 3-gun competition instructor, Taran Butler. Well, he hasn't come to our matches - yet. What we have is a sanctioned USPSA match which will let you develop and practice your skills in drawing from a holster, rapid shooting, shooting on the move and shooting under (time) pressures. These are not skills you can practice in the range during normal business. The match will be controlled by our certified Range Offices. Safety will be the highest priority and it will adhere to strict rules and guidelines. The match runs from 7PM-9PM, walk-in sign-up starts at 6:30PM. We run at least 2 stages. The 4th Thursday of the month includes our USPSA Classifier Stage which USPSA members use to increase their Class Rankings. You should bring at least a hundred rounds. Online sign up at PractiScore.com starts on Wednesday prior, just search for Triforce Practical Shooters. The match leaders will be excited to see you and eager to answer your questions. Here are a few pointers for you first time shooters. * Do bring and wear eye and ear protection. We will have these items available for visitors, but having your own will simplify the process and ensure that you will be able to watch the match. * Don’t assume you know more than you do. Use your first visit to concentrate on watching, listening, and learning. * Appropriate clothing and shoe wear is required. No sandals please. *You will be allowed to shoot the first time you come to the match but you will be required to complete a “safety check” before shooting an actual match. You will need the following to shoot in a match. It may be that the firearm you already own will be just what you need to get started in practical shooting, but you may learn of other competitive opportunities that will give you that excuse you’ve been looking for to buy a new toy! You can get started with a standard 9mm pistol (Glock 17/19 and S&W M&Ps are popular), 2-3 magazines and a holster. Holsters must retain the firearm during any required movement, must cover the trigger of a holstered gun, must point to the ground when the firearm is holstered, and must be carried at belt level; shoulder holsters, fanny packs, etc., are not permissible at PAS events. If you have a Pistol Caliber Carbine (PCC) - e.g. 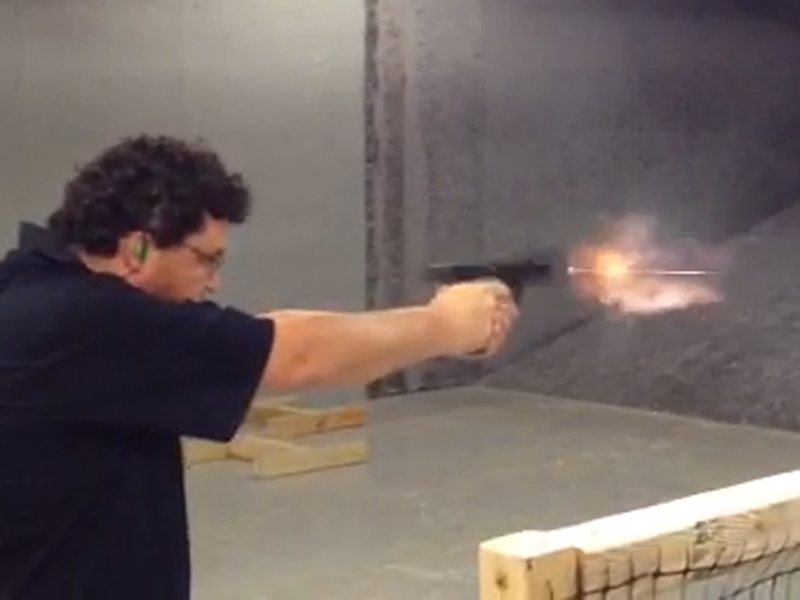 9mm, .40SW, .45ACP - you can also shoot that instead of a pistol. You will need a bag and chamber flag. PCC must be flagged and racked or flagged and carried vertically, muzzle up while on the range. Other necessary equipment includes spare magazines or speed loaders and belt mounted carriers. In most cases at least one magazine will be included with the firearm when you bought it, but having more magazines is desirable. Stages typically require up to 32 shots, but it is prudent to have magazine capacity for at least 40 rounds. It is important to have realistic expectations as you approach competitive shooting. Many people, but most especially those without a lot of shooting experience, have unreasonable expectations about their abilities. Practical shooting is an exciting, fun, safe sport. Like any sport, though, it takes time and effort to become proficient. Like any sport there will be times when your progress is rapid and it is easy to remain focused on your goal. At other times it will seem that you’re not getting anywhere and it will be easy to become discouraged. Consistent practice will take you where you want to go. Don't be afraid to ask the fellow participants questions, they are a very friendly group. You can always register for the match when you arrive. However, we encourage you pre-register using the Practiscore web site. Hope to see you at the next match. For latest match and results information, see..
"We enjoy teaching others while at the same time improving our own skills. Dave is National Range Officers Institute certified. 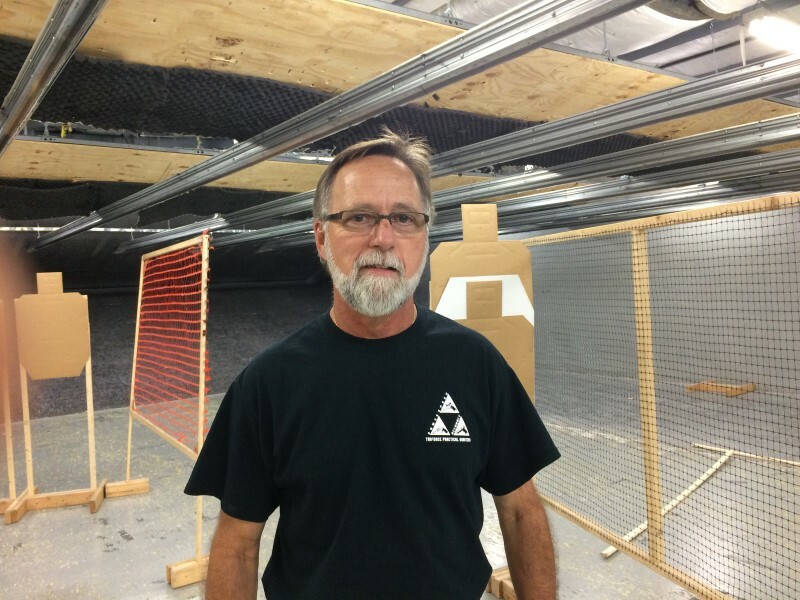 He is an RO for USPSA, Action Pistol, ICORE and Bowling Pin matches. 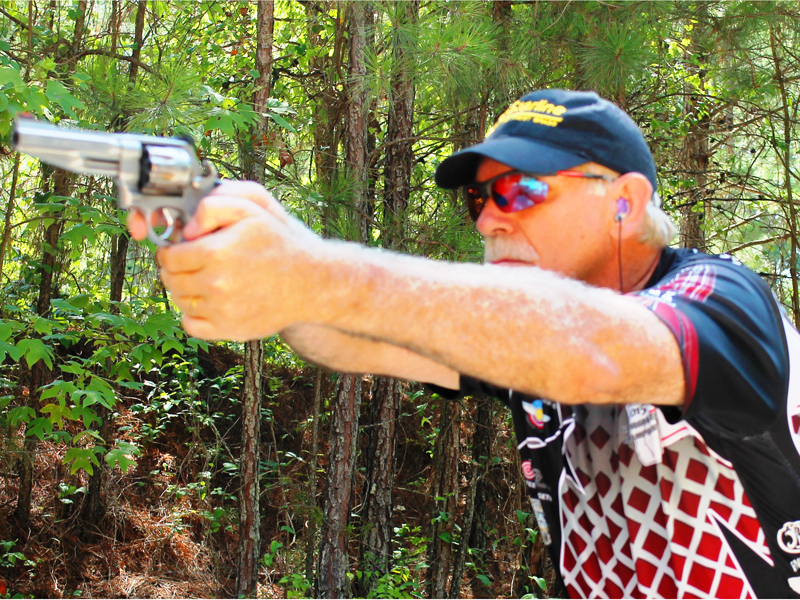 "I have been involved in Competition Range Matches at Bigwoods Goods since 2011. I am a certified USPSA Range Officer and certified Glock Armorer. At this time I shoot Open Division in the Senior category. I also enjoy shooting the Bowling Pin Matches." "I have been shooting at Big Woods Goods since 2012. I have been shooting in the Thursday night USPSA Match, Open division for the entire time. I am a certified Range Officer. I grew up around guns with my father being a marine veteran. I welcome all newcomers and look forward to being there to help them get started."